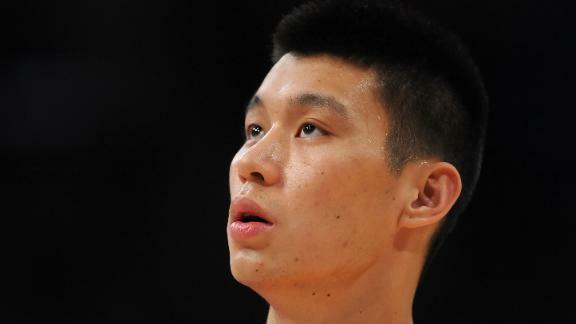 Amidst All the Linsanity, Jeremy Lin Totally Forgets to do Calc Homework. Also, J-Lin Haikus! There are a number of benefits a young man can enjoy from playing basketball. It is good exercise, a chance to network and build friendships, and can do wonders for one’s self-esteem. However, according to one very disappointed mother, all of these benefits become moot when basketball gets in the way of academics, as in the case of Jeremy Lin. Lin, a 23-year-old Asian-American from Palo Alto, California, has spent nearly all week playing basketball, whipping the entire nation into a frenzy while not once pausing to think about his future. “We are very disappointed in Jeremy,” stated the aforementioned very dissapointed mother. “He goes out, makes all that noise with his friends, and makes all those people go crazy,” she elaborated. Lin realized that he had forgotten to do his calc homework while riding the M34 crosstown bus home from the game against the Lakers Friday night. “There’s no excuse. I had all week to do it,” admitted Lin as he dug through his drawstring Nike bag in search of the forgotten assignment. “If I can’t balance academics with extracurriculars then I don’t deserve to wear this Northface shell jacket,” he lamented. Lin, who has calculus first period, will have to wake up “early as balls” in order to tackle the assignent before morning basketball practice. While the young point guard has reportedly been playing basketball since he could walk, his relationship with homework extends beyond his physical existence on this planet. Lin has a metaphysical GPA of 4.2, which applies not only to this realm, where he attended Harvard University, but also into the eternal all-encompassing nothingness that is time, space, and the collective unconscious of the Universe. Don’t let him go right! Want to write a J-Lin haiku too? I don’t blame you! Post it below.